On Tuesday, Fidesz MP Gyula Budai (pictured) referred to all Hungarian judges as “communists.” Budai’s remarks were made during a meeting of the National Assembly’s justice committee meeting and mark the latest in a series of open attacks on Hungary’s judiciary. According to HírTV’s reporting of the committee meeting, the Fidesz-dominated committee convened to hear testimony from the leaders of Hungary’s justice system, which includes National Office of the Judiciary (OBH) president Tünde Handó (wife of Fidesz MEP József Szájer) and Prosecutor General Péter Polt. Fidesz committee members put a time constraint on the hearings, a move which prompted opposition MPs to object. “There has never been a time limit on these discussions. Never. 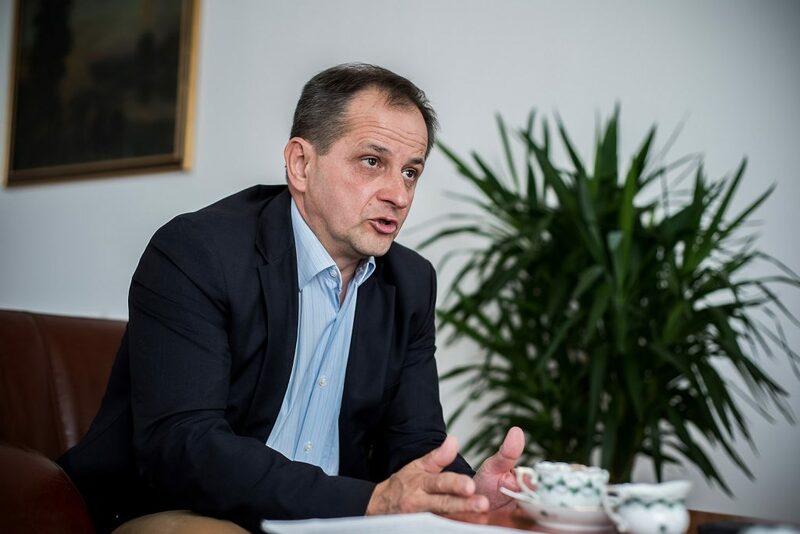 Every time we have convened to hear the testimony of the justice system’s leaders, we were allowed to question them freely,” MSZP MP Gergely Bárándy said. (The case was originally filed by Prosecutor General Péter Polt against opposition politician Viktor Szigetvári (Együtt). Polt, a former Fidesz MP, filed the lawsuit against Szigetvári because the politician spoke of Polt’s ties to Fidesz and accused the prosecution service of being a co-conspirator to the Quaestor brokerage financial collapse). Jobbik MP Gábor Staudt accused Hungary’s prosecution service of delaying the delivering of justice in cases involving alleged political corruption. Opposition MPs also pressed National Office of the Judiciary president Tünde Handó for invalidating the application process for key judicial roles — a move that, according to critics, allows Handó to block certain applicants, only to hand-pick acting officials to fill such positions. When Bárándy raised this issue with Handó, the OBH president shrugged off these criticisms as “isolated instances,” and added that anyone who feels they have been wronged can turn to the courts for justice. Several judges have told the Budapest Beacon that Handó’s reign as president of Hungary’s highest judicial administrator has caused judges to come under greater pressure, causing them to question the independence of the courts.